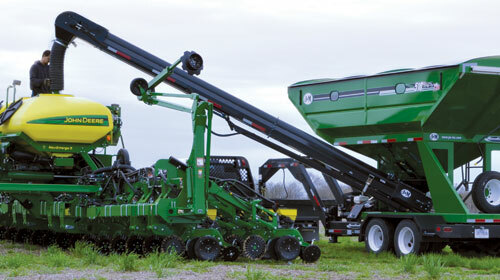 Improve farm efficiency and simplify bulk seed handling using highly accurate data - plant more acres in less time. As your operation grows, the window of time to plant stays the same. Avery Weigh-Tronix's simple to use, cost effective, leading edge planting and seed tender solutions provide the efficiency you need to plant more acres in less time. The 2060 indicator boasts industry leading technology while providing a simple, user friendly interface. A fully featured indicator that includes a Load/Unload scale along with Ag specific application software. Click here for more information. Farm Foreman is an intuitive harvest and planting data management Windows PC solution. Producers input their operation's setup data and transfer to the weigh indicator via USB. Planting and Harvesting transactions are easily transferred back to Farm Foreman via USB and data can be managed for multiple grain carts or seed tenders from one PC, eliminating redundant data entry. The flexibility and data tracking abilities of Farm Foreman are industry leading. Manage Seed Costs: Seed is expensive, making it vital to track what was planted where. 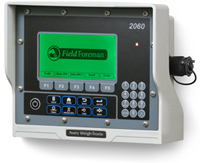 Farm Foreman manages the transaction data from the 2060 to provide additional hybrid field records. If there is an emergence issue, Farm Foreman makes it easy to track where each lot was planted. Data Entry and Management: Enter all the hybrids you plan to plant along with where you plan to plant them. Easily change the default hybrid selection for the field from the 2060 if the hybrids assigned to that field changes. Keep track of separate plots within a field by defining hybrid, acres planted, or other customized criteria. Syncing: Sync Field Foreman data using a USB thumb drive to the Farm Foreman program on your PC. Inventory Management: Whether you are a farmer or seed dealer, data showing exactly what you have delivered to each customer is just a mouse click away. Reporting: Create, print and save reports in PDF format or export data to Excel.